About two years ago I did a clean sweep of all my random, old, drugstore nail polish, and started over with only OPI. I knew I was making an expensive, slow, long-term switch, but because I prefer OPI, I knew it was worth it! 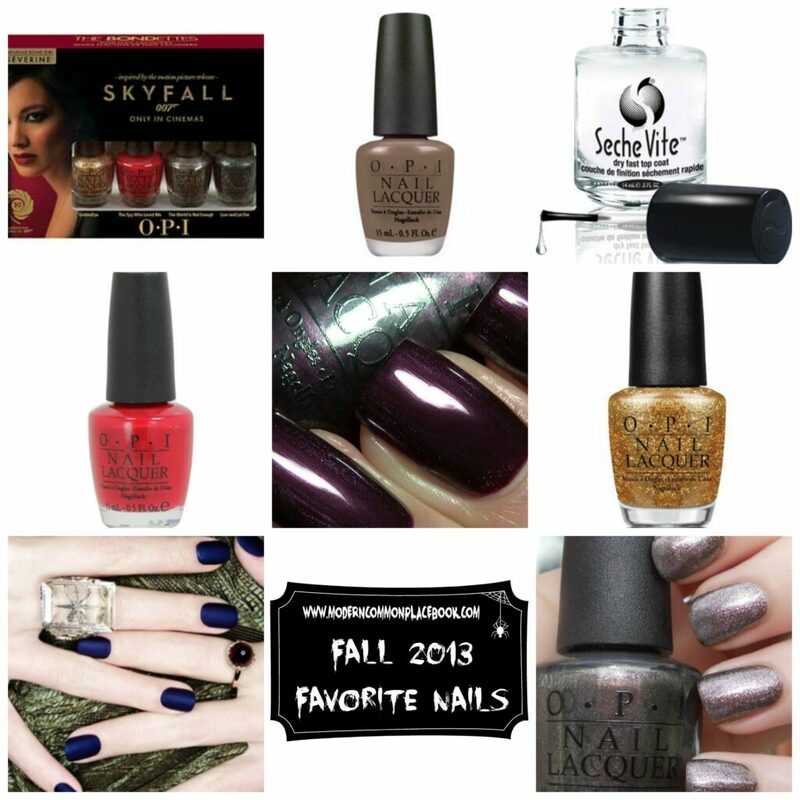 My collection is still rather small, but I treat myself to one new nail polish a season. I get them for a good deal on Amazon, and ask for them for Christmas! I might not get a lot of new products and articles of clothing each season, but I can afford one nail polish! It is something I really look forward to. My husband bought me the OPI Skyfall Collection for my birthday last year (best husband ever! ), and I LOVE this collection of little minis! I love the colors, and it makes the PERFECT gift for the nail lover. Keep this in mind for Christmas! This is absolute favorite grey. OPI You Don’t Know Jacques is a pretty popular grey – and is only $6.73 on Amazon! I might be an OPI snob, but I make an exception for Seche Vite Dry Fast Top Coat. This is repeatedly on the Amazon Beauty Best Sellers List, and has almost 900 reviews. It makes my nails last almost 5 days, and dries in seconds. THE BEST TOP COAT. My favorite red is OPI So Hot It Berns. And I love the name. This was purchase last year, and I love the deep purple of this OPI Vampsterdam. Oh, and this color has good lasting power! OPI Goldfinger is the only gold I have tried, and it does need at least two coats, but it is awesome! My newest obsession is Matte nail polish – and I love this Matte OPI Russian Navy Suade. This is the one I am asking for for Christmas! I saved the best for last! This is my absolute newest FAVORITE. I can’t get over how amazing this is. OPI The World Is Not Enough keeps taking my breath away!